Nothing says holidays to me like handmade decorations. In this post, I’m sharing two simple yarn decorations that even a beginner can make (or that would make great binge-watching projects for more experienced crocheters and knitters): DIY Felted Balls Ornaments and a Crochet Button Garland. I used red, white, and green for Christmas decor, but you could change the colors for other holidays. This post contains affiliate links. I may receive compensation (at no added cost to you) if you make a purchase using these links. Materials for these projects were generously provided by Oriental Trading. You can shop Oriental Trading’s Christmas headquarters here. If you’re gifting these ornaments, make larger felted balls in one color that can be used as dryer balls by the recipient. (It’s like two gifts in one!) If you’re keeping these ornaments, make a combination of small and large felted balls in different colors for visual interest. 100% wool yarn (approximately 1/2 – 1 skein for each ornament) — I used Lion Brand Alpine Wool in Chili and Lion Brand LB Collection Pure Wool yarn. Oriental Trading DIY Clear Ornaments in your choice of size. Small amounts of Oriental Trading Primary Yarn in red or green. U.S. Size H-8/5 mm crochet hook, or any size that feels comfortable with yarn. Yarn needle with eye small enough to fit through small hole at top of ornament. Follow my DIY Felted Balls tutorial to make felted balls in your choice of size(s). Open each Oriental Trading DIY Clear Ornament by separating the 2 pieces. Fill each half of the Oriental Trading DIY Clear Ornaments with several felted balls. Do not over-stuff (because then the ornaments will pop open). Chain 20 with Oriental Trading Primary Yarn in your choice of color. Fasten off with long yarn tail. Thread the yarn tail through the yarn needle. Draw through the small hole in the hanging area for the ornament. With yarn needle, seam the 2 ends of the chain together and weave in ends into chain. These Crochet Button Garlands can be used to wrap gifts, to hang across mantles, or to decorate a tree. Make approximately 9′ (3 m) per 1′ (31 cm) height of tree. Oriental Trading Bag of Christmas Buttons. Approximately 15 yd (14 m) Oriental Trading Primary Yarn in red or green for each 9′ (3 m) strand of garland. U.S. Size J-10/6 mm crochet hook, or any size that feels comfortable with yarn. Yarn needle with eye small enough to fit through button holes. With yarn needle, thread 36 buttons onto yarn. I organized mine into groups of 4 buttons (clear, white, red, and green) but you could also do this randomly. Slide buttons down towards ball of yarn so that you have ample yarn to work with. You will need to slide the buttons down as you use up yarn. *[Slide 1 button, chain 2] 3 times, slide 1 button,** chain 20. Repeat this step, ending the last repeat at ** when you have used all the buttons. Chain 10, slip stitch to first chain to join. Looking for more yarn-y decorations? Stop by Instagram for my free crochet pattern for the Button Christmas Tree! © 2017 by Marie Segares (Underground Crafter). These tutorials are for personal use only. You may use these tutorials to make unlimited items for yourself, for charity, or to give as gifts. You may sell items you personally make by hand from these tutorials. Do not violate Marie’s copyright by distributing this tutorial or the photos in any form, including by not limited to scanning, photocopying, emailing, or posting on a website or internet discussion group. If you want to share these tutorials, point your friends to this link: http://undergroundcrafter.com/blog/2017/11/29/simple-yarn-decorations/. Thanks for supporting indie designers! If you make your own Simple Yarn Decorations, I’d love to see them! Share your progress and questions by tagging me on Facebook as @Underground Crafter, Instragram as @ucrafter, or Twitter as @ucrafter. You can also share a picture in the Underground Crafters Facebook group. Sign up for my weekly newsletter and get a coupon code for your choice of one of my premium patterns and other subscriber goodies. Plus, you’ll never miss one of my free patterns again! I’m excited to share a review of an instant print camera with video capabilities, along with a tutorial for making your own gift tags with personalized care instructions for your handmade gifts! This post contains affiliate links. I may receive compensation (at no added cost to you) if you make a purchase using these links. A Polaroid Snap Touch was provided to me for review. Although I accept free products for review, I do not accept additional compensation, nor do I guarantee a positive review. My reviews are based entirely on my honest opinions. Additional materials for this post were generously provided by Cricut and Oriental Trading. I’m going to age myself here, but my first camera was a hand-me-down Polaroid. The instantaneous printing may have been what actually got me into photography. I loved waiting for the pictures to expose after they popped out of the camera. Over the years, my taste in photography grew a bit more sophisticated, and first I got into the physical darkroom (in high school) and later into the virtual darkroom (using Lightroom). During that time, I grew away from Polaroid and I started playing with single-lens reflex (SLR) cameras. The Snap Touch comes with a package of ZINK photo paper, which uses zero-ink technology. These papers are 2″ x 3″ (5 cm x 7.5 cm) and have peel-back adhesive, so you can use them as photos or as stickers! It also includes the camera (obviously), a strap, a micro USB cable for charging, and a user guide. The camera has a magnetic cap and comes with its own flash. You will need to get your own microSD card. I use a SanDisk 32GB microSD card to I can download and edit photos and videos later. (You can use a micro SD card up to 128 GB.) Once you unpack the camera, you can easily pop open the pack to install the ZINK paper. With the camera out of the box, charged, and loaded with film and microSD card, you can use it several ways. You can film HD video (on a Polaroid!). You can see a sample video I shared on Facebook below. The video was shot indoors using natural lighting, and I didn’t edit for exposure or white balance because I wanted to give you an idea about what the Snap Touch is capable of in a regular environment. You can take instant photos. (And, they print out on stickers. How awesome is that?) Here’s a picture of a sticker of a picture of a scarf on the scarf itself! You can save photos for later on your microSD card. Yep, you can have it both ways – instant fun, and playtime in the virtual darkroom later. As an example, here are two pictures of the same scarf. The photo the left was taken with the Snap Touch and the photo on the right was taken with the Nikon D5300. Neither are edited. (The Nikon photo is more of a close up, though the pictures were taken at the same time, in the same position, and in the same lighting conditions.) You can see that the Snap Touch is able to hold its own quite well. The camera is lightweight and easy to use. It comes ready to use with a tripod, so you don’t need to buy any adapters for that. I found that the Snap Touch fit well in my hand and I could fit it into a larger pocket if I was heading outside. There’s a LCD touch screen display that’s easy to understand. For instance, you can choose how many copies you want if you’re printing out a picture. This would be fun if you’re taking pictures at a party or family event – everyone can get their copy right away and you won’t have to worry about sending them out later. You also have quite a bit of control over other settings, as you can see. For example, I like having a relatively dim screen and having the sound on, but not too loud. You can also zoom (! ), use an auto timer for self portraits, and even choose to take color, black and white, or sepia tone pictures. If you’re a natural lighting fanatic like me, you can even disable the flash. Also, if you’re into the Happy Planner, your Snap Touch pictures fit perfectly. You can watch this in action in the short video below. The Snap Touch is available in the obvious colors like black and white, but also in fun colors like pink, blue, and purple. The Snap Touch retails for $179.99, but you can usually find it for less on Amazon. I love using it when carrying my DSLR is not convenient but I don’t want to pull out an enormous tablet to take pictures. (Also, unlike using a tablet, I can fill it up with pictures and videos when away from home without worrying about having to delete other important things like navigational apps.) It’s a great second camera for a photo nerd like me, or a main camera for anyone who wants a point-and-shoot with something more (the more being HD video, instant sticker photos, etc.). It’s also a really fun camera for kids because, you know, stickers. And, for us crafty types, the Snap Touch works out well for scrapbooking, using the Happy Planner, or making custom gift tags like the one’s I’m sharing a tutorial for below! Your handmade gifts will be loved even more now that the recipients can identify the care instructions for their gift using these sticker photo gift tags! Jazz the tags up with scrapbook paper. Polaroid Snap Touch with ZINK Photo Paper. Oriental Trading Animal Print Paper Pack. 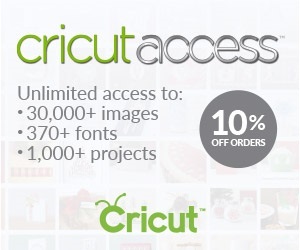 Cricut Explore with Cricut Design Space and Cricut Access. StandardGrip cutting mat (I used the one from the Cutting Mat Variety 3 pack). Gift Tag Cut File (available here in Design Space). Open the Gift Tag Cut File in Design Space. Customize tags to include care instructions for your gifts. Place your Oriental Trading Animal Print Paper with the animal print side down on your cutting mat. Set your machine to cut paper. Follow the prompts to write and cut. Carefully remove your gift tags from the cutting mat. Recycle unused paper scraps. Once your gift tags are ready, tie them around your gift so the recipient will have a visual reminder for how to wash their handmade gift. I’ve never been very talented at jewelry-making, so I was surprised at how easy it is to put together a customized set of locking stitch markers for crochet and knitting. In this tutorial, I’ll show you how to make your own set with a few affordable supplies from Oriental Trading. Since we’re heading into fall (which means the start of the holiday crafting season, Hispanic Heritage Month, Halloween, and Dia de los Muertos are all around the corner), I used the Day of the Dead enamel charms to add color and an autumn feel to this set. This post contains affiliate links. I may receive compensation (at no added cost to you) if you make a purchase using these links. Supplies for this post were generously provided by Oriental Trading. Locking stitch markers are one of my favorite notions for crochet and knitting. Of course, I have a collection at home, including my daily go-to markers (currently, the Clover Quick Locking Stitch Marker Set) and many decorative sets that I’ve bought or received as gifts. If you’re not sure how (or why) you would use stitch markers, check out 5 Reasons to Use Locking Stitch Markers. I didn’t include “impress everyone at your next craft night,” but that’s definitely a reason for making your own set! Locking stitch markers also make great gifts for any crocheter or knitter on your handmade holiday list. With one Day of the Dead Enamel Charms pack, you can make six sets of six markers — a set for you and gifts for five crafty friends! You can find more Day of the Dead crafts and party supplies on Oriental Trading here. Alternatively, if your friends aren’t much into Dia de los Muertos, you can find lots of other charm options for locking stitch markers on Oriental Trading here. Long Nose Pliers and Round Nose Pliers (I used the ones from this Jeweler’s Plier Set). 6 – Day of the Dead Enamel Charms. 6 – 12 mm Lobster Clasps with Jump Rings. With Long Nose Pliers, gently spread apart jump ring to open. Slip charm onto jump ring. With Round Nose Pliers, place gentle pressure on jump ring, working around until it closes tightly. Repeat with the other 5 charms. Seriously, that’s all it takes! If you forget which pliers to use, just read the package. That’s how I learned which pliers were best for opening and closing jump rings. To use your locking stitch markers, just press on the lobster clasp until it opens and place it over your stitch. Do the same thing to remove the marker. If you make your own DIY Locking Stitch Markers, I’d love to see them! Share your progress and questions by tagging me on Facebook as @Underground Crafter, Instragram as @ucrafter, or Twitter as @ucrafter. You can also share a picture in the Underground Crafters Facebook group. Sign up for my weekly newsletter and get a coupon code for your choice of one of my premium patterns and other subscriber goodies. Plus, you’ll never miss one of my tutorials patterns again! © 2017 by Marie Segares (Underground Crafter). This tutorial is for personal use only. You may use the tutorial to make unlimited items for yourself, for charity, or to give as gifts. You may sell items you personally make by hand from this pattern. Do not violate Marie’s copyright by distributing this tutorial or the photos in any form, including but not limited to scanning, photocopying, emailing, or posting on a website or internet discussion group. If you want to share the tutorial, point your friends to this link: http://undergroundcrafter.com/blog/2017/08/22/diy-locking-stitch-markers-crochet-knitting. Thanks for supporting indie bloggers!